Once a user click on a reaction button, that’s means I can hear the complainers or cheer… Ex: OMG (Oh My God),LOL,WIN,SOCK,CUTE, WTF (Where The Funny or What the funny, etc…). This feature assumes that there are viewers, but are too lazy to type out an comment. Once a user clicks on a reaction button, their choice for that reaction will be recorded. Later then, you can view a statistic about the vote of users about their impression to your site content. To avoid many fake anonymous voting, you can set up some restrictions. For example, when users click on a reaction, it will be recorded. The buttons will be inactive, and then after one hour it will be active again. If you allow users to publish their comment in social network sites, once they click on a reaction, a mini Share plugin will pop up to suggest him to share his reaction to the social networks. The user is given an option to choose to which social networks he wants to post the content. When the user presses the “OK” button, the comment will be published to each of the social networks that the user selected. The reaction buttons may be displayed with or without counters, representing the number of times a certain reaction to an item was clicked. To allow your users leave comments easily, you can implement this plugin in your site. Codecanyon can do this for you with a simple set-up. 3. Increased interest among viewers. 1. 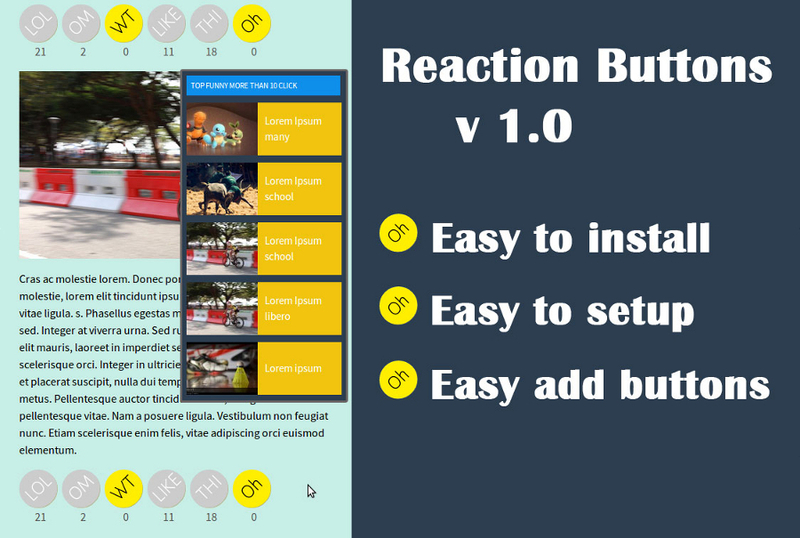 React content with button. 4. Show up any where with shortcode button. 6. v1.2: Icon support (Font Awesome). Recently, there is a new trend of posting comments by clicking on a reaction button to show what readers feel about an article. They will judge through their click. This simple plugin makes it easy for users to react to content in your site, but without the hassle of writing a whole comment. Besides, you can allow them to share their reaction to social networks. 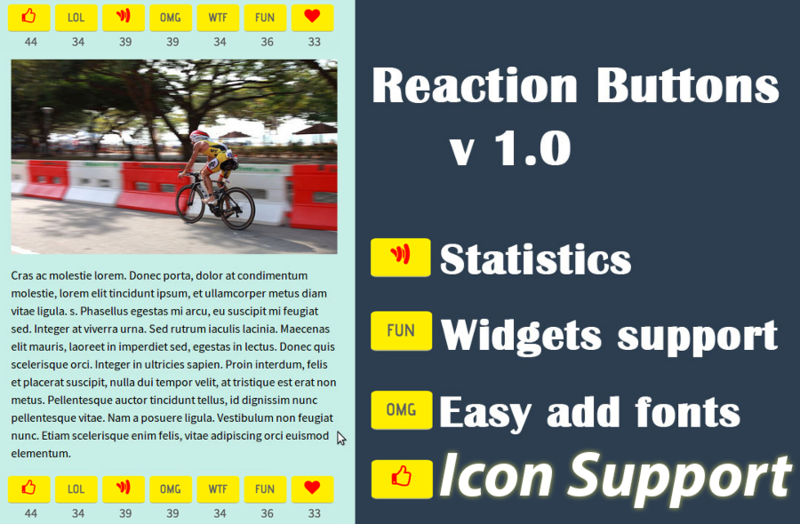 The Reactions plugin is built out of one or more buttons, arranged horizontally in a bar. Each button represents a “reaction” to the content, such as ‘LOL’, ‘Amazing’, etc…These reaction could be customized based on your request. - Add function Insert Icons. - Add function clean databases. [+] Reaction buttons with icon.